I repeat the question. “Take a minute, there is no rush to answer. I asked you if your dad loved you.” The pause that occurs as they contemplate the question for a second time is quite telling. All too often the response cycle goes something like this. A look of confusion, as if to wonder why I asked the question again. They often look down for a moment. The message is sinking deeper. A look of slight anger registers on their face; next comes sadness, then the realization. Now they really understand the question. I’ve gone through years of psychology classes. I understand the theory. I know why counselors and therapists are told to maintain a healthy distance from those they counsel—I get that. As the tears of realization flow from the eyes of the biggest, proudest, toughest guys you might imagine, I am not worried about containing myself. They need to understand that I understand, and more importantly that God understands. On many occasions I share in the grief and loss they experience in that moment of time—the moment they recognize that the need for love was never met. At which point my goal is to get them realigned with the Father who never ignored them, nor left them. What is evidenced in that scripture is this: God loves you and wants nothing more than to spend eternity with you! I couldn’t believe it! Things were going so well. I had returned just two weeks before with a first-place gold medal honor for the first book I had ever authored. My wife and I were honored with a radio interview regarding our books, our ministry and our marriage. The Interview went so well that they slated us for a follow-up. Other interviews are on the horizon. Our ministry was growing and people were being healed. I was revved up and ready to teach my next marriage class in early January. To say nothing of the Christmas excitement flowing through the home. All seemed right with the world. Why God? Why? This was where I chose to emotionally park myself. As human beings this is our tendency. 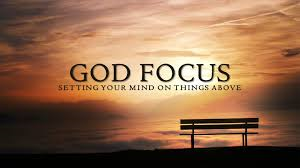 Forget all of the blessings that God has bestowed and focus ONLY on the one thing that we can’t make sense of. I don’t underestimate the importance of the grieving process and growing past those circumstances in which we can’t understand the loss. The problem is, too many times we don’t bother to put our car in reverse, back out of the parking space and move forward, working through the hurt and loss that only comes with God’s help. Prayer before making my decision led me to Psalm 18:2, “The Lord is my rock, my fortress and my deliverer; my God is my rock, in whom I take refuge, my shield and the horn of my salvation, my stronghold.” I was not alone in my circumstances. I was never alone. When Jesus walked the earth, knowing the pain and the agony he would have to endure at the crucifixion, he asked God to take this cup if it was His will. This was very human, Jesus experienced all of our emotions. Jesus also knew his father and trusted in His strength to do what was necessary. This is an example to us all. In spite of the trials we may face, lean into the one who will get us through, regardless whether we understand the outcome or not. How did my trial end? I processed my situation (I concede, with a bit of pouting) then decided to back out of the parking slot that I had settled into. Three days later I left the hospital (well, all except one less toe on my right foot.) Confident in the decision that I made. I will be spending the Christmas holiday recuperating with family and friends, fully aware and most thankful for all He has done (and is doing) for me. I will be most eager to get up and running for 2016! I encourage you who are struggling or dealing with trials this holiday season, you are not alone. Trust God to carry you through the darkness. I wish you all a MERRRY CHRISTMAS and focus on the blessings that God has given you.